The rise of robots: Is Singapore ready? TL:DR: Singapore is second only to South Korea in terms of installation of industrial robots. Speakers at the Singapore International Robo Expo 2018 highlighted three trends in robotics technologies that businesses can leverage on. They also highlighted the importance of 5G networks for larger-scale multi-robot deployments. Authors of science fiction enjoy extolling robots or painting them as bringers of dystopia. Nonetheless, viewed as a tool of industry, robots represent tireless workers, subservient and impervious to danger. It comes as no surprise, then, that countries around the world are embracing automata. Singapore is no different. “In Asia, Singapore is regionally competitive. 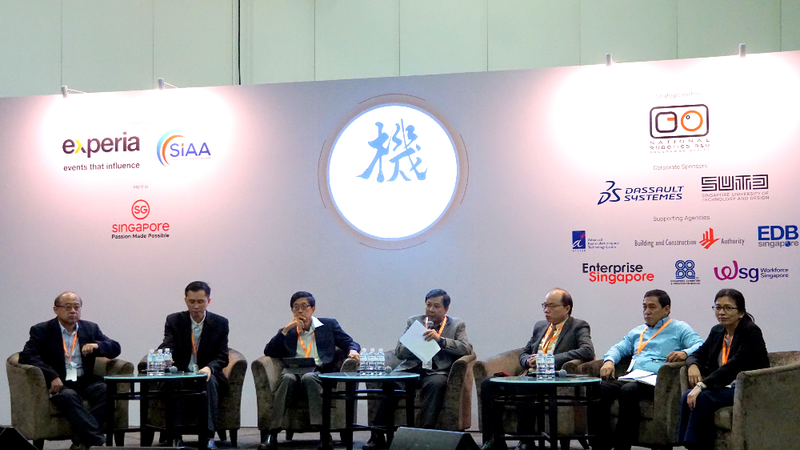 We have seen a very healthy start-up ecosystem with a lot of support from the government and the tertiary education system,” said Mr Su Jian Lye, principal analyst at consultancy firm ABI Research, speaking at a symposium at the Singapore International Robo Expo on 2 November 2018. Titled ‘The Robotics Landscape in Singapore and Beyond’, the session also included Professor Wang Dan Wei, president of the Institute of Electrical and Electronics Engineers Robotics and Automation Society (Singapore Chapter), and Mr Jim Lim, global director of Huawei International, as speakers. Acknowledging the potential of automation, the Singapore government has pushed hard for robotics, particularly in the healthcare and construction industry. Singapore is second only to South Korea in terms of its installation of industrial robots, with 488 robots per 10,000 employees, according to an International Federation of Robotics report. To maximise the return on investment in robotics, however, Mr Su advised the public and private sector to capitalize on three main trends: autonomous mobile robots, robots-as-a-service business models and cognitive robotics. He added that the government and trade associations need to develop a deep understanding of autonomous mobile robots and learn how best to use them to augment workforce capabilities. At the same time, employees must be trained to work alongside robots or retrained to take on tasks that cannot be automated. Meanwhile, to help robotics technologies propagate across industries, Mr Su recommended the “robotics-as-a-service” business model. “The industry has been focusing on the sales of robots for a very long time. Instead, businesses should look at acquiring robots as a service,” he said, noting that robots have been ‘rented out’ as companions of the elderly in their homes, or as customer service officers at hotels. But there is still room for improvement in robotics technologies, especially in the enhancement of their cognitive functions. The previous generation of robots is capable of performing repetitive tasks, but the coming generation must be able to understand the environment and make decisions—this is where artificial intelligence comes into play, said Mr Su. 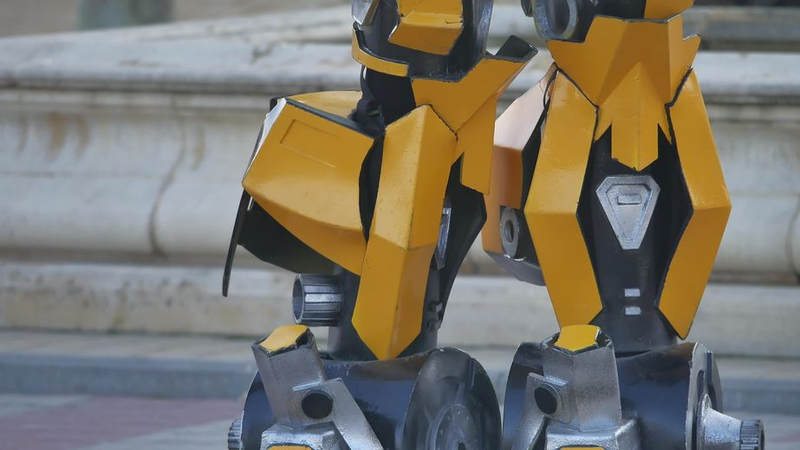 Professor Wang agreed, highlighting that Nanyang Technological University, Singapore, has partnered with ST Engineering to empower robots to function in unknown and unstructured environments, such as public spaces where human traffic may be unpredictable. As one of the principal investigators of the collaboration, Professor Wang explained that much of the work involves developing fundamental algorithms for navigation, localization and data acquisition. The lab is also exploring the use of fleets of robots that act in a coordinated fashion to accomplish assigned tasks. This can be achieved with algorithms for detection and tracking, as well as formation control. Getting robots to coordinate their activities poses another problem—they must be able to communicate with one another. The speakers noted that this problem may soon be solved with the advent of 5G networks. “5G connections can deliver three key capabilities: enhanced mobile broadband for high-quality and reliable data transfers, massive machine-type communications to cater for more robots, and ultra-stable low-latency communication to carry out real-time control,” said Mr Lim. Will Skynet from the Terminator series develop from this confluence of technologies? Only time will tell, but until then, it appears that a great deal more research and development on robotics is necessary.